Knowing where your robot is can be very important! 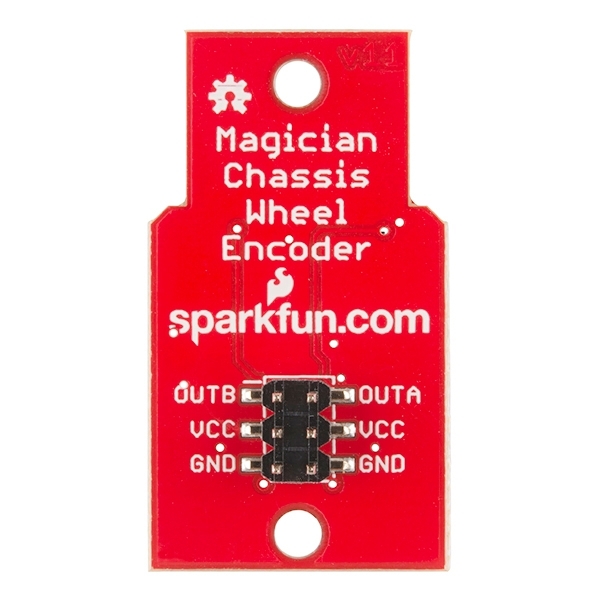 The RedBot Wheel Encoder allows you to track the number of revolutions each wheel has made. This sensor works by detecting the movement of small teeth connected to a motor through the reflection of infrared light. By measuring the amount of reflected infrared light you can tell not only how far each wheel has traveled but how fast the wheels are turning. 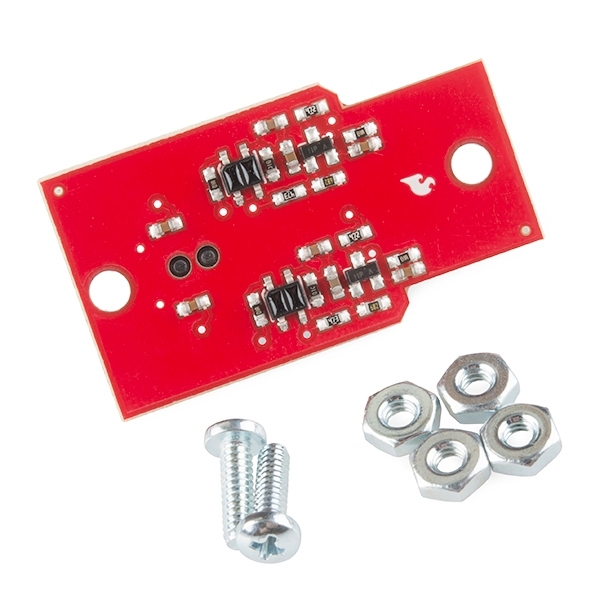 The encoder has a 6-pin header which connects directly to the RedBot Mainboard via female to female jumper wires. 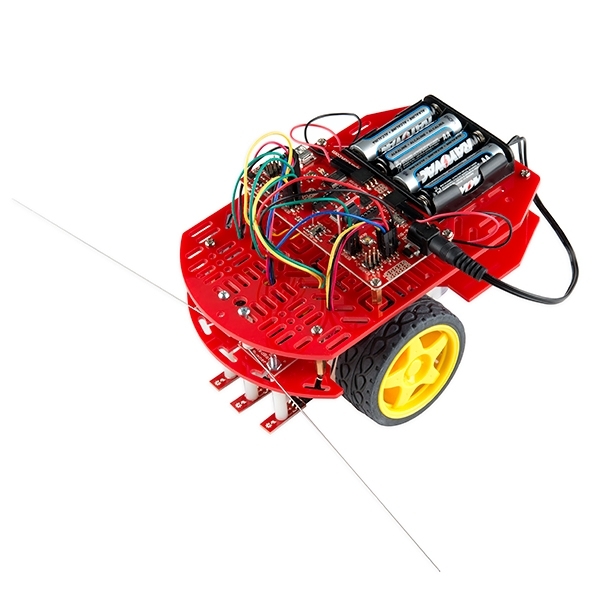 Use the included RedBot library to start detecting wheel measurments. 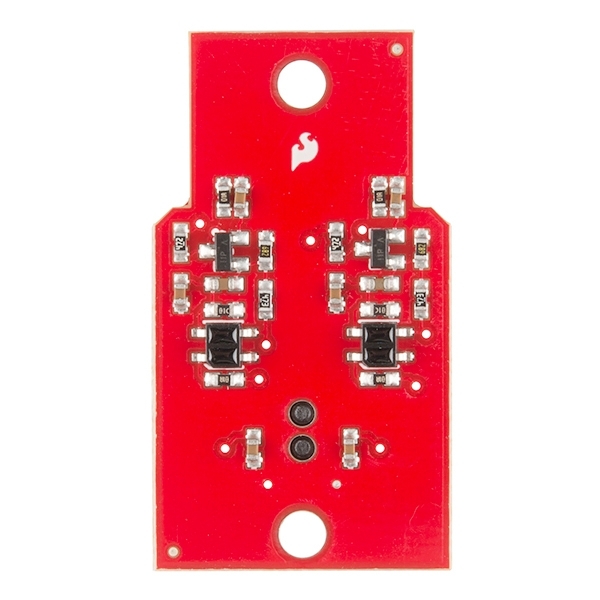 Two mounting holes lets you easily connect this sensor to your robot chassis.